There is never a dull moment in St Petersburg. When our sunshine state experiences chilly or rainy weather, there are still plenty of places to go and experiences to enjoy. 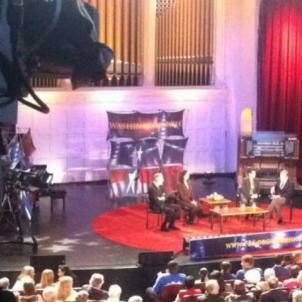 Start with our theatres! American Stage Theatre Company’s mission is to preserve great plays the past through live theater while also creating contemporary stories and storytelling. The acclaimed theater presents its Mainstage Series in the 182-seat Raymond James Theatre year round and the annual American Stage in the Park each Spring. The theatre’s other programming includes the “After Hours” Series, School Tour, and camps and classes for children. Here, you’ll see everything from dramatic to comedic classics as well new award-winning musicals and farces. 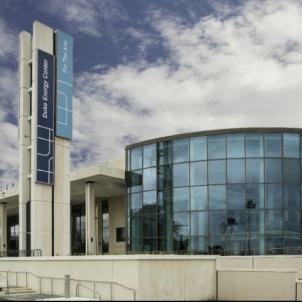 Located in the heart of beautiful Downtown St. Petersburg, the Duke Energy Center for the Arts – The Mahaffey Theater is a 2,031-seat cultural jewel featuring elegant ballroom space, spectacular waterfront views, and European box-style seating. Just steps away from the culturally vibrant downtown and minutes away from white sandy beaches and world-famous museums, The Mahaffey hosts top-quality national and international artists—Broadway and comedy shows; classical, pop, rock and dance concerts, plus performances by the renowned Florida Orchestra. When it comes to high-level performances, the two venues housed within the historic Romanesque Revival-style Palladium Theater in downtown St. Pete seem to leave no stone unturned. The 850-seat Hough Hall and the far more intimate candlelit 175-seat The Side Door cabaret affordably deliver classical, jazz, blues, rock,country and opera performed by St. Petersburg Opera Company. But there’s more: dance, comedy and literary events flesh out the robust offerings. Ruth Eckerd Hall‘s near perfect acoustics have received rave reviews from artists, technicians and audience members since opening in 1983. 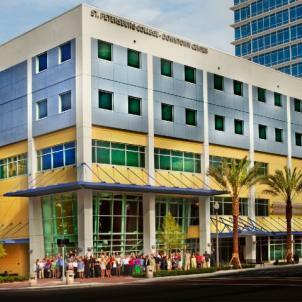 Combined with state of the art equipment, comfortable amenities and world class entertainment, it’s no wonder that the 2,180-seat concert hall has been recognized as one of Tampa Bay’s best numerous times. Designed by the prestigious Frank Lloyd Wright Foundation, REH features a stellar lineup of more than 200 performances a year, including lectures, contemporary music for all age groups and comedy acts featuring some of the country’s biggest names. Originally built as a bank, the old-world Beaux Arts facade of the 705-seat State Theatreserves up an interesting contrast to he facility’s state-of-the-art tech and the contemporary bands (touring and local) that perform there, who couldn’t possibly be any more “with it.’ Four full beverage bars ensure an extra good time for all. 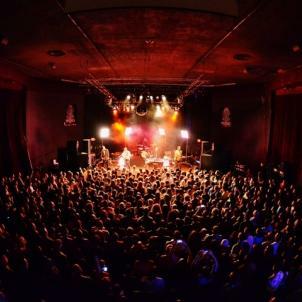 With a close-to-the-stage pit and an upstairs balcony overlooking all the live action, you’d be hard-presed not to be in on it, wherever you end up. Come her to listen to genres ranging from jazz and punk to rock and ska. 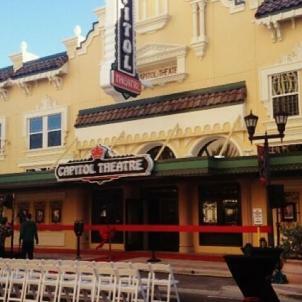 Head to downtown Clearwater’s Capitol Theatre to catch a cool live concert or a pair of film classics in a grand historical setting. 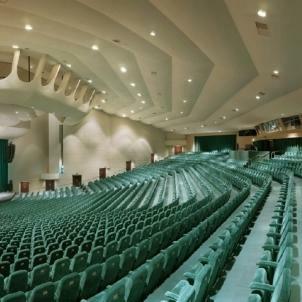 The venue has 750 seats but your concert experience is sure to be an intimate one. Don’t miss Grammy-award winning performers like Diana Krall and Los Lonely Boys. Dating back to 1921, the beautifully restored former movie house and Vaudeville venue–a magnificent Mediterranean-Revival gem–will make you feel as if you’ve time traveled back to Hollywood’s glam and glitz heyday. 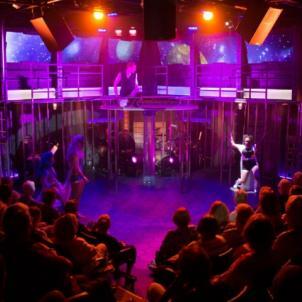 For a year-round season of plays, musicals and world premieres, freeFall Theatre is the place to visit. It’s one of only two professional regional theatre companies in St. Petersburg and has been featured in The Tampa Bay Times, The New York Times and Time Out New York. The company also gives back to the community, hosting educational programs that benefit students of all ages and backgrounds throughout the Bay Area.